While organising my photos came across this taken in 2007 with D200 & 18-70 lens. The two lovely dogs belong to my cousin and sadly Trigger (with the red eye) passed away last year. What wonderful memories...there adorable. Sorry about Trigger. awwww love this shot. They are so adorable. awe... how sweet. 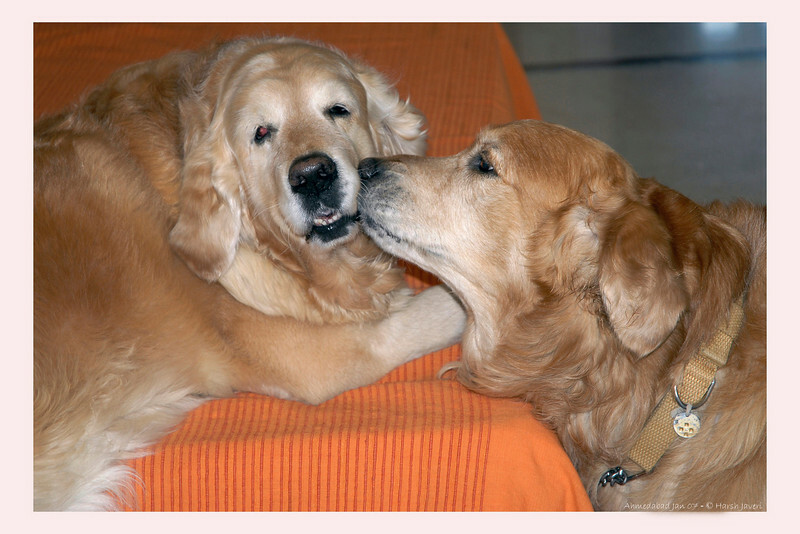 love goldens.